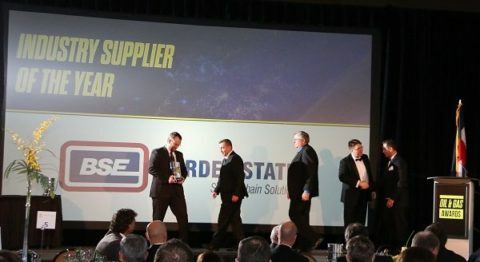 Border States Electric was recognized as the Industry Supplier of the Year during the 3rd Annual Rocky Mountain Oil & Gas Awards ceremony held in Denver this month. This is the first time an electrical distributor has won the award, which is judged by experts in the oil and gas industry including executives, engineers and professors. The Industry Supplier of the Year Award recognizes suppliers of materials and equipment to the oil and gas industry. Companies who have demonstrated reliability, gone the extra mile to provide the oil and gas sector with impressive customer service and can show details of their corporate social responsibility initiatives are rewarded. There were 200 applications for this award, and we were one of four finalists. I believe we were successful in achieving this award because our 100% employee-owned company has been providing great service to the oil and gas industry for decades. We care about our customers, and it shows with the level of service we deliver each day. This award is proof of our ability to provide numerous value-added services that drive efficiencies for our oil and gas customers. 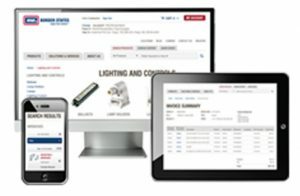 Our focus is on driving excessive costs out of the supply chain by providing high quality products at competitive prices that reduce risk in supply and applications. We believe we are in it together with our customers—we are only as successful as they are.